Any civil engineering structure is conceived keeping in mind its intended use, the materials available, cost and aesthetic considerations. The struc­tural analyst encounters a great variety of structures and these are briefly reviewed here. 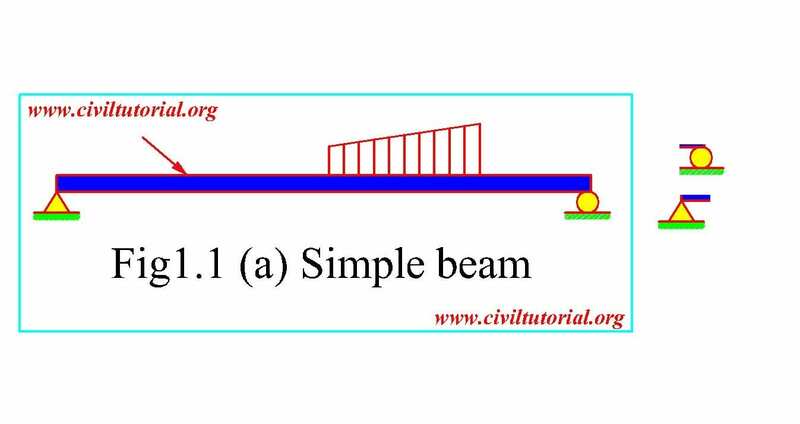 One of the simplest structures is a, simply supported beam, supported on a pin at one end’ and a roller at the other (Fig. 1.1a). Such a beam, it may be recalled from the fundamentals of strength of materials, is quite stable and statically determinate and transmits the external loads to the supports mainly through shear and moment. 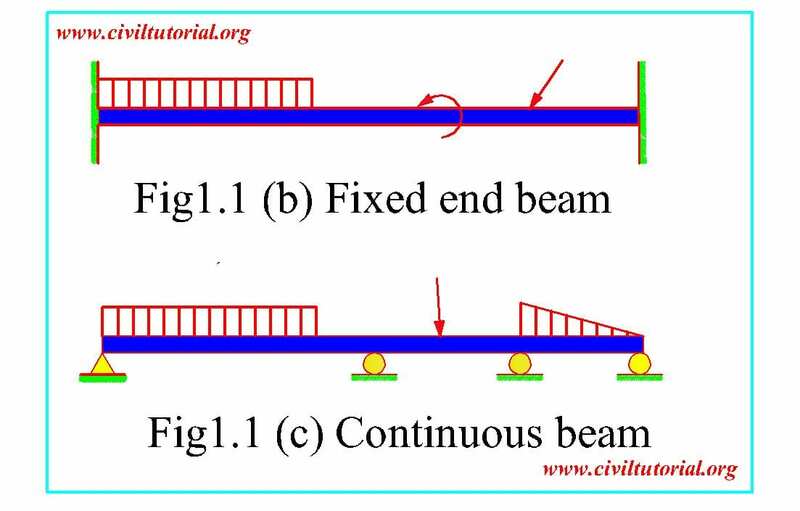 The other types of beams which are more complicated from the point of view of analysis are those with fixed ends and those that are continuous over supports (Figs. 1.1 b and c). As we shall see later, such beams are statically indeterminate and cannot be solved using equations of static equilibrium alone. For longer spans, a truss may be employed in place of a beam. Unlike a beam in which the loads are resisted by shear and moment, the truss members ‘transmit the load primarily by axial forces in the members. The· structural action of a truss may be compared with that of a simply sup­ported beam. 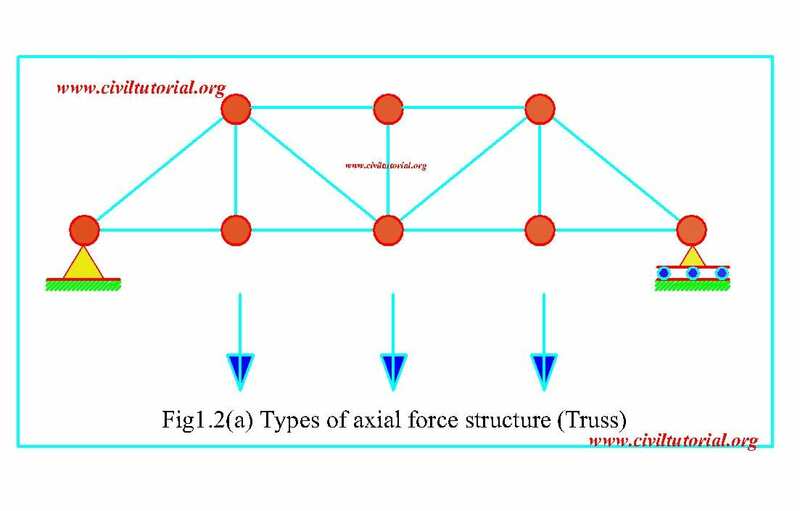 For a truss under vertical loading, the top chord members of the truss are subjected to axial compressive forces and the bottom chord members to axial tensile forces. Under similar conditions, the top fibres of a beam are subjected to compressive stresses and the bottom fibres tensile stresses. Trusses are mainly built up of prismatic members forming various structural shapes out of basic triangular elements. A typi­cal bridge truss is shown in Fig. 1.2a. The truss is known as a plane, truss since all the members lie in one plane. Three-dimensional trusses, known as space trusses, are also sometimes used. Another type of structure used for long spans is the arch. From the structural point of view, arches are characterised by high axial thrust and relatively low bending moment which result from its distinguished shape as well as the horizontal reactions that develop at the support points. Al­most similar in structural behaviour and equally efficient in transmitting forces is the cable structure. However, in this the forces are in tension if1stecid of compression as in the arches. 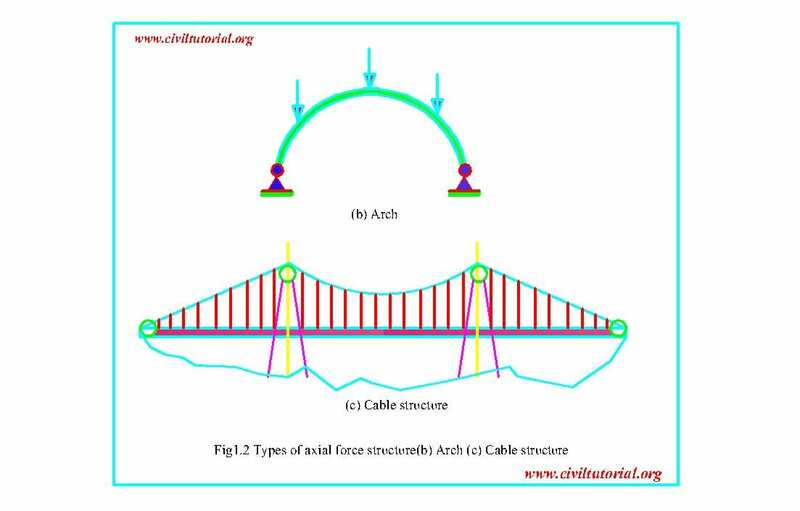 An arch and a; cable structure are: shown in Figs 1.2b and c respectively. A type of structure, commonly used in industrial or residential buildings is a frame. Typical frames are shown in Fig. 1.3. Frames are characterised by moment resisting members at some or all the joints. The resulting structure is rigid and, from the analytical point of view, highly statically indeterminate. 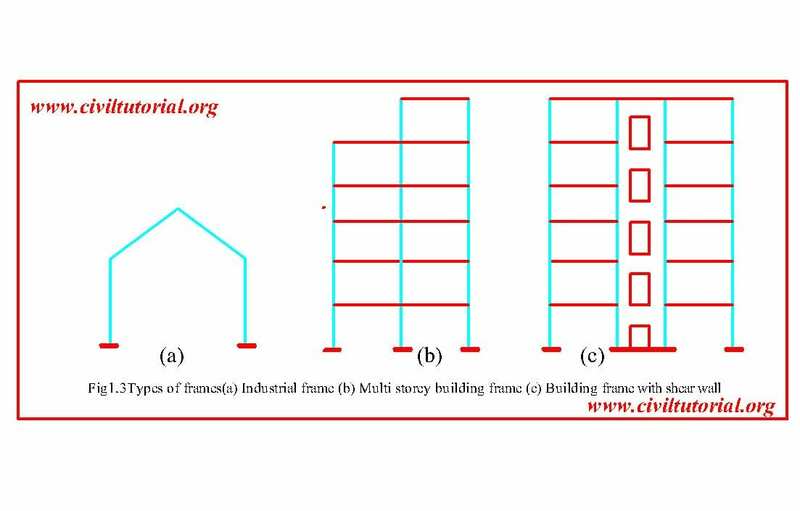 As in the case of trusses, frames can be three-dimensional.Frames are generally treated as planar frames in two directions due to the complication of three dimentional analysis.